← Yongnuo YN-560TX and YN-560IV combine for a powerful and portable flash kit. 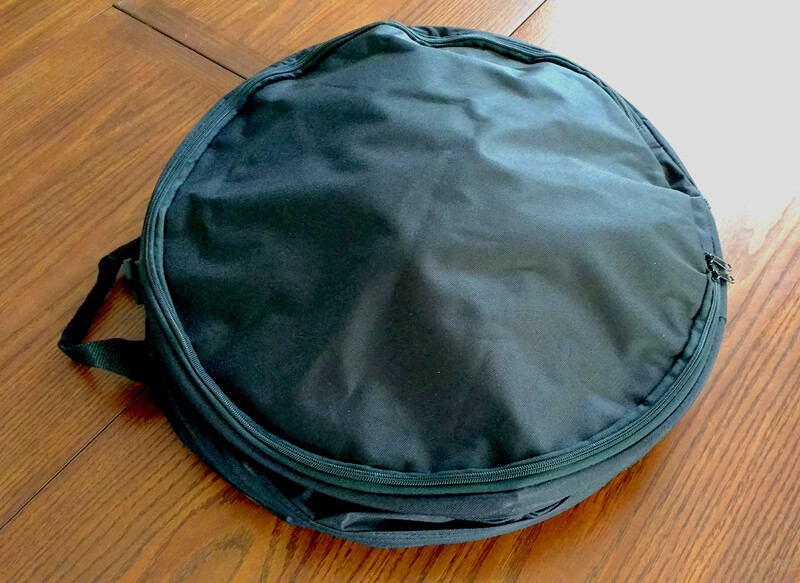 If you are looking for a case for your beauty dish between 17″ and 20″ in diameter, I can wholeheartedly recommend this “collapsible hat box”. 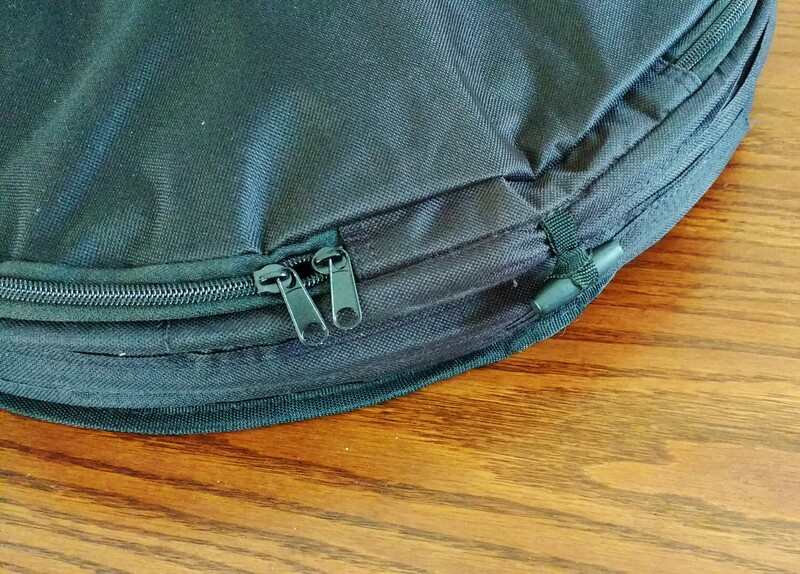 Made of the same rugged material as a good camera bag, it has dual zippers, a great lining and the ability to secure it in a lower profile to maximize protection and minimize size. In addition, it will handle a few honeycomb grids and the deflector parts included with your beauty dish. I searched high and low for an affordable alternative to the cases offered by lighting manufacturers, and when I discovered this item, I could only hope it would do the trick. It Does! Every once in a while I get lucky with one of my DIY attempts, and this is one of my very BEST finds! 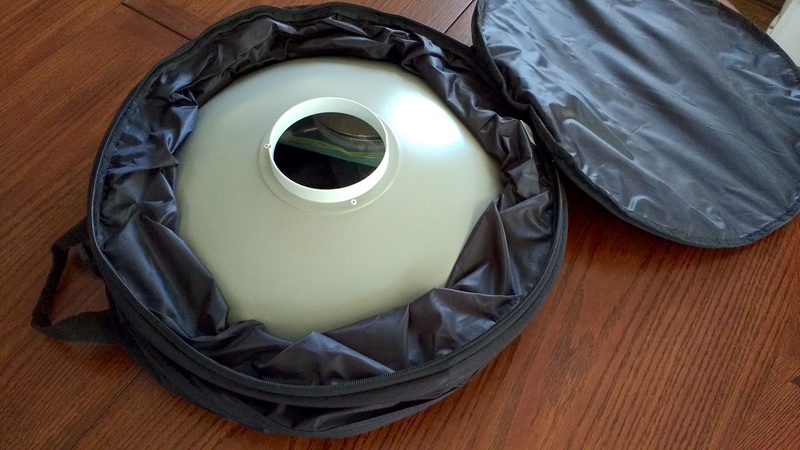 It actually looks like it was made for my Elinchrom 17″ beauty dish, and looks every bit the “camera gear”. On Amazon, it’s $37.99 + a whopping $18.95 shipping. This is what kept me from ordering it sooner. But I discovered that on the Amazon Sellers website, e4hats.com, it was the same price with FREE SHIPPING. I later discovered that free shipping is available on Amazon using the coupon code “usfree35”. This entry was posted in Beauty Dish, Photography, Uncategorized and tagged analog photography, Beauty Dish, Beauty Dish Case, digital photography, Elinchrom, Photo Gear, Photography Gear. Bookmark the permalink. 2 Responses to When is a Hat Box NOT a Hat Box? When it’s a Beauty Dish Case!